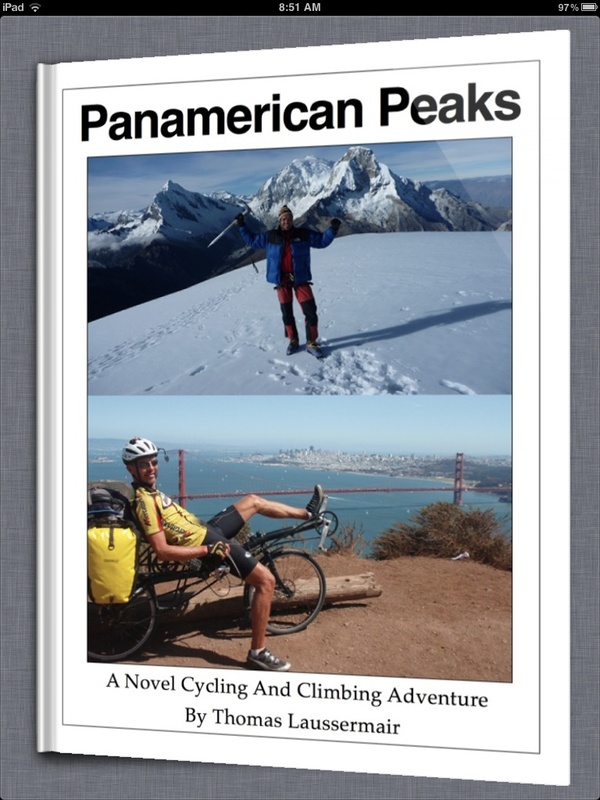 After many months of writing and editing my book on the Panamerican Peaks adventure is finally ready. Head on over to the bookstore here for more info. You need an iPad with iBooks 2 and iOS 5. From within iBooks, you can also go directly to the store, search for “Panamerican Peaks” and get the free sample or buy the full book. 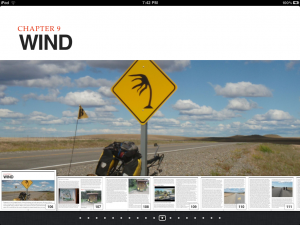 I posted recently why I decided to create an eBook for the iPad. This format gets the closest to conveying the many experiences and emotions of such a 14 months journey through words, sounds and sights. It contains not only my stories, but also many of my best photos, a few videos and some interactive maps. The eBook – pending Apple’s review – will be published in the Apple iBookstore and available for purchase in some 24 countries. 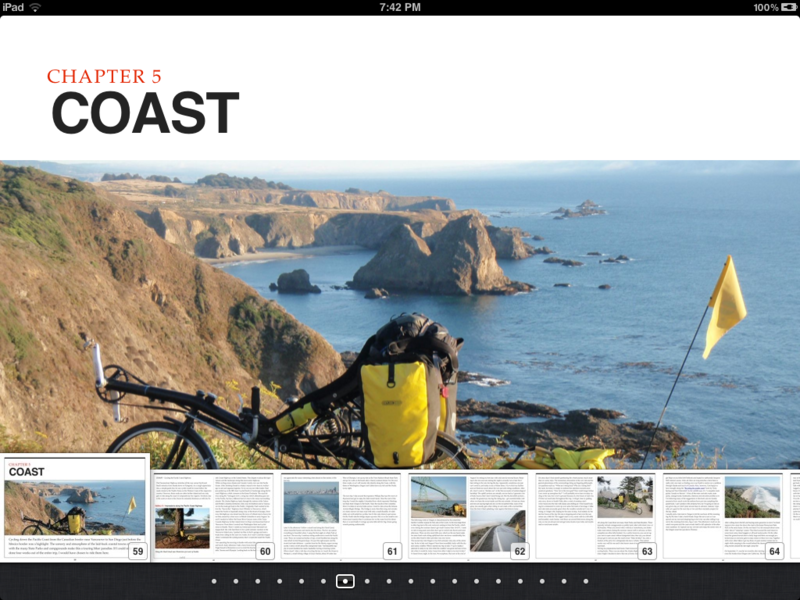 All you need is an iPad with the (free) iBooks reader app installed. 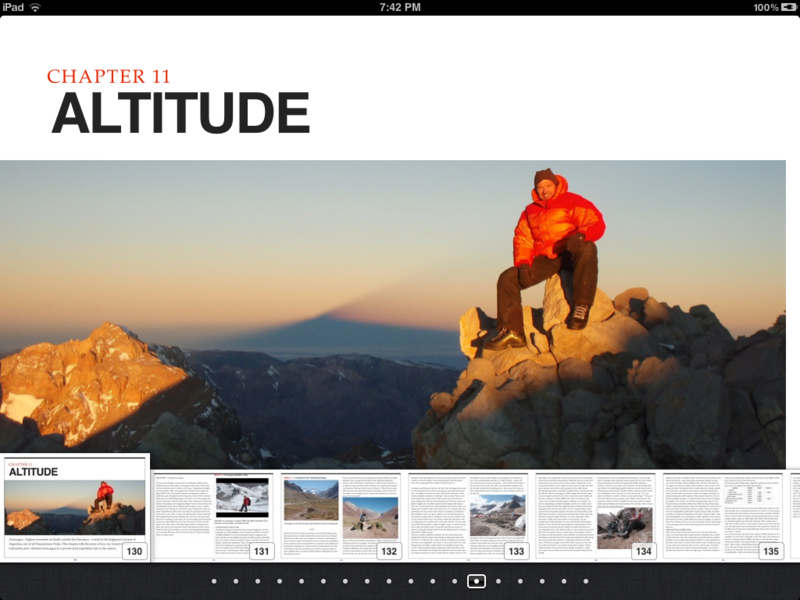 From within iBooks, just go to the store and search for “Panamerican Peaks”. 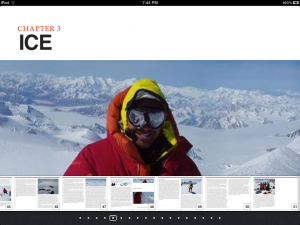 As is customary with eBooks, you can download and read a free sample before deciding whether to buy the book. The following YouTube video (here in HD) demonstrates the interactive capabilities of the eBook. And this YouTube video (here in HD) is included as opening ‘teaser’ in both the full as well as the sample eBook. 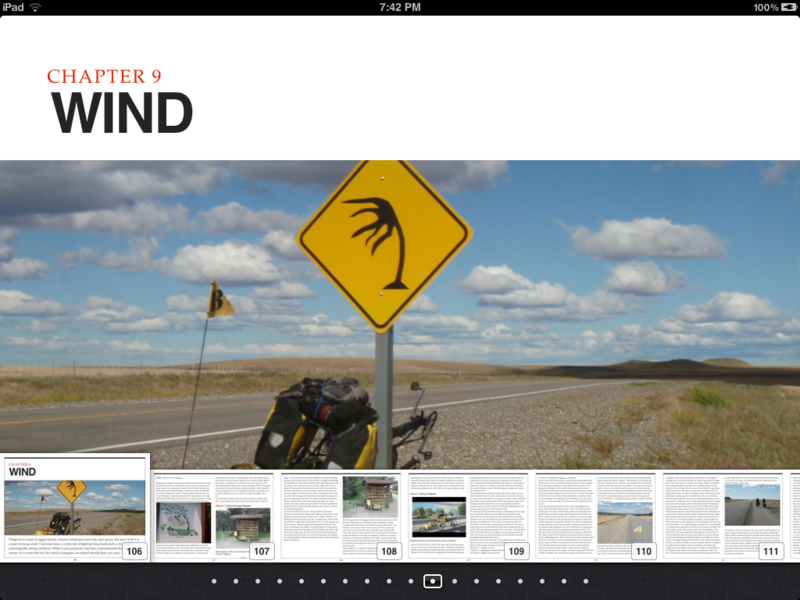 If you don’t have an iPad, you can read the free sample (in .PDF format) on the Sample page. I’m very excited about this book and would love to get your feedback on it. 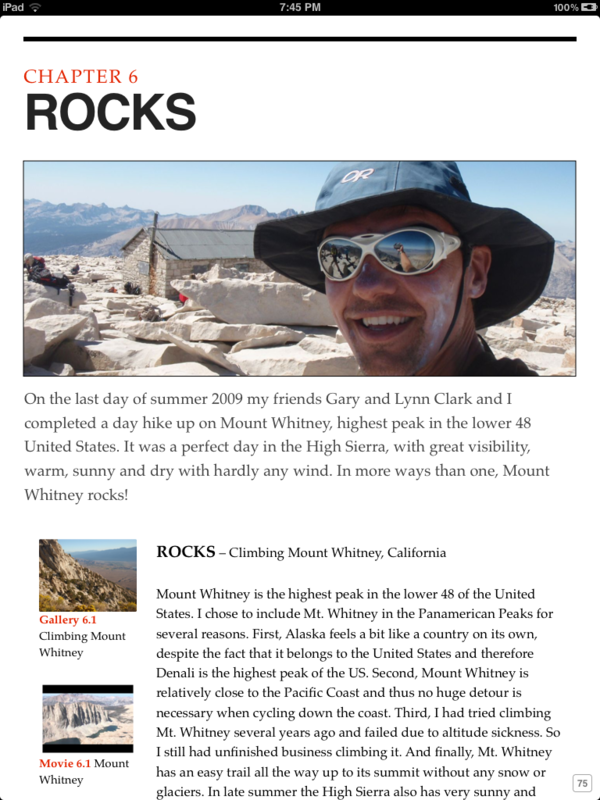 Please send me your thoughts; even better, leave a short review in the iBookstore. 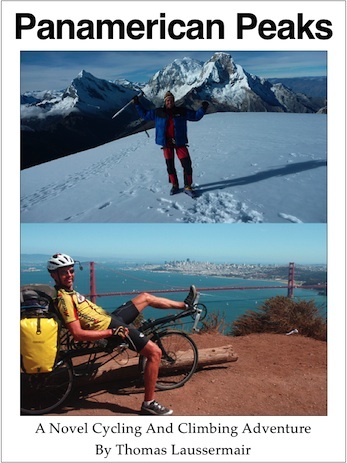 I hope you enjoy this cycling and climbing adventure and I look forward to hearing from you! This book richly details an amazing journey from Alaska to Patagonia. 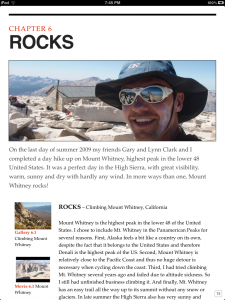 The descriptive narrative and the multitude of photos and videos drew me into the adventure, allowing me to experience the journey as if I was an active participant. I was overwhelmed by the beauty and the diversity of the landscapes experienced by the author as he traveled through North, Central and South America. The author also provided a fascinating insight into the different peoples and cultures encountered as well as the complexities and triumphs of cycling and mountaineering. I highly recommend this book. It is the most exciting trip to unique locales that most armchair tourists will never venture!